Mike is one of the main characters in The Butterfly & The Bull. This is not so much an interview as a stream of consciousness. Make mine a large whisky there, while yer at it. Childhood? Ah, well, that was just a grand time, so it was. Me father was a farmer in County Mayo. That’s in Ireland – will folks know that? Oh, right. So. There were three of us – me and me sisters. I was the youngest. We all helped our Da on the farm, but there was plenty o’ time for me to be gettin’ up to mischief, so there was. Me Ma was a nervous wreck with it. Never sure when me remains were goin’ to be brought to her in a shovel. Anyway, me bein a wild child an’ mostly as disreputable lookin’ as yon cow o’ Feargal Byrne’s that he accidentally hauled through a hedge backwards with his tractor, they were all taken aback (and none more so than me, I can tell ye) when I did well at the school. Most o’ the time, they forgave me for the bloody noses, the torn jerseys, the angry phone calls an’ the occasional visit from the local bobby, as long as me test marks held up. Oops! My but I’m all thumbs the day! Just as well the glass was empty. Another one? Ah, don’t mind if I do. Yer a scholar and a gentleman, sir. Where was I now? Oh, aye. So, I finished me schoolin’ an’ went off to Dublin to study medicine. Probably because I’d heard these boys have a whale o’ a time at Uni. And I’m here to tell ye that was a terrible understatement, so it was! The first year was just a blur and the good burghers o’ Dublin were lockin’ up there daughters, oh yes indeed they were. But I showed me mettle again. Takes more than six pints o’ Guinness a day an’ a few parents threatenin’ to blow him to kingdom come to slow done Mike O’Malley. I got five star reviews for me studies and it wasn’t until me last year that the real trouble started. Found meself walkin’ down the road one day with a bunch o’ bold boys an’ realized we all had guns in our hands. And that was it. Oh, I finished me studies and became Dr O’Malley alright, but the IRA was like a Dyson vacuum, so it was – sucked ye in before ye knew it and whirled ye round so hard ye could hardly think. What? Psychopaths? Oh, aye, like a magnet to those boys, for sure. But most o’ them were ordinary folk like me, thinkin’ we were doin’ the best thing for our country. Well, I was soon enough dissuaded from that point o’ view, I can tell ye! But it was a bit like bein’ in the Templars or whatever – hard to get into an’ even harder to leave. So I just bided me time. When the Troubles were passed, I went back to County Mayo. Me Da an’ me Ma had passed an’ I ran the farm for a whiley an’ did some doctorin’. Then the financial collapse came an’ I took a leaf out of me ancestors’ book an’ became a kind o’ a pirate. The place was hemorrhaging folk by then an’ I chummed up with a couple o’ local boys an we set ourselves up on an island. Yon was the place where I met Donnie McLennan. Did he tell you I kidnapped him? Who’d have thought it, eh? Grand way to make new friends! Another one? Och, well that’s very good o’ ye. I’ll not be sayin’ no to such an offer. A Brief Taster from the Coffee Shoppe! My very warm thanks to Ann Marie Dwyer (a.k.a Red) for this excerpt from her recent blog. Follow the link for more fun! Red wanted to see who the newest member of the M3 Coffee Shoppe was. Stuart Haddon stowed the wayward tablet and got wound up in Red’s typical game of over-caffeinated stick and move. to you. Why is this one so close to your heart? 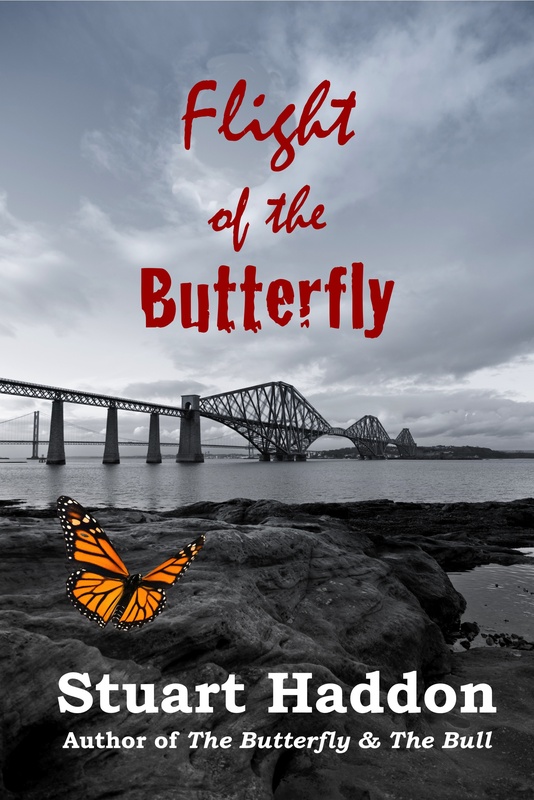 As a lead up to a series of interviews with the characters in my novel The Butterfly & The Bull, I am posting the following account of the early life of the hero of the story, Donnie Mclennan. My name is Donnie McLennan. As in “Donald, Son of Lennan.” Although where old Lennan comes into the picture is lost in the convoluted and bloody mists of Scottish history. All I know is that my early ancestors probably came over from Ireland sometime in the fifth century. The first people known by the name “Mac Ghill’ Fhinnein” occupied Lorn and the area around Glenelg on the west coast. Later, but still many generations before me, some of the clan moved to the Isle of Lewis, a land of endless peat bogs where the reefs of ancient bedrock emerge from a sea of thin topsoil. On its western strand, beaches of pure white sand, mile upon mile, edge this wasteland and the eastern coast is a rocky moonscape heavily indented by lochs and inlets. It is a wild and beautiful place, dark with superstition and mythology. And it was on this Lewis that I was born, in a two-storey croft house which stood on the west coast of the island and stared out sightlessly on the Atlantic Ocean. My mother had sworn, after giving birth to my sister three years previously in Raigmhor hospital in Inverness, that she would birth her next child at home. Her husband was vehemently opposed to this plan, but mother prevailed (“As bloody always” he would later mutter when the subject came up), citing the almost legendary capabilities of Ealasaid McDonald, the midwife. Sadly for all of us, Ealasaid suffered a major cardiac infarction and died just hours before her patient’s waters broke and contractions began. She was hurriedly replaced by a much younger woman with only the barest of experience. The subsequent birthing was a disaster. The doctor was called, but by then matters were beyond even his skills and the dying woman and her almost dead son were helicoptered to Raigmhor. There, I finally emerged into a world of stainless steel and bright lights and peeling emulsion paint, thanks to the skill of the surgeon. But there was nothing he could do for my mother and she died without regaining consciousness, deprived of the joy of holding her newborn son in her arms. As far as my sister and I were concerned, Jessie proved to be a wonderful choice. She was warm-hearted, imaginative and quick-witted. Her notions of child rearing, looking back on it now, were inspired and we had a joyous early childhood as a result. My father was a crofter. By this I mean that he was someone who farmed so little land that it was impossible to make a living by that alone. He tilled beds in the grassy plain which stood between the croft house and the moody ocean, where crops were wrested annually from a nutrient-hungry soil. He tended his few cows and a little flock of brainless sheep whose sole aim in life appeared to be seeking out the nearest high cliff and flinging themselves from it, or using some ancient instinct to locate pieces of wire or plastic bags and become hopelessly entangled or choke to death. Father also had a half share in a fishing boat, with his brother Andrew. The pair of them would talk proudly and lovingly about this doyen of the ocean, but in fact it was an antiquated wooden scallop boat named “Star of the Sea” with a temperamental engine and a tendency to leaking seams. The success of this harvesting of the sea enterprise was hit and miss, even on a good day. Childhood was defined by the pleasure of being part of a happy family and by our intimate closeness with Nature. We were free to play as we pleased on the rocks, the sandy beaches and the moor. I still have vivid memories of Iong summer days and of nights when it never quite got dark ; of the skylark rising over the moor, singing its inspirational song as my father and I tramped to the peat hags to cut next year’s fuel; of peewits and plovers over the lochan ; and of oystercatchers crying frenetically around the bay as we searched for edible seaweed for mother’s soup. We rejoiced in summer evenings when we would walk through the glorious sea of flowers which exploded annually on the grassy plain, our ears filled with the rasping of corncrakes, to explore the “old women’s house”, an ancient ruin on the shore, believed to be a nunnery. My father brought these remains to life for my sister and me, describing the early religious orders from Saint Columba’s time when disciples of the great man spread up the west coast, occupying wild places and building monasteries, nunneries and lonely cells in unlikely locations and living hard lives on the edge of world. When I was six years old, my father announced that he was going to give up the unequal struggle, leave the croft in the safe hands of our Uncle Andrew and move us to Oban, where he had got himself a job with Caledonian Macbrayne, the ferry company. Jessie told us that she was going to return to teaching, a profession she had abandoned in her native Ireland (to run off to Stornoway with a married man, as we later discovered). Susan and I were in a state of shock. The news caused a dramatic shift in the plate tectonics of our existence. This lifequake seemed certain, we thought, to cause devastation in our daily lives. Of course, it did nothing of the sort. We hadn’t realized that the warm, loving and confident relationships we enjoyed were a sure buffer against such disturbances. A couple of weeks ago, I took my moribund Twitter account (still with its tags on), tied it to my person, lit the blue touch paper and hurtled myself, in a shower of sparks and noxious gases, into the Twitterverse. This is the main reason why it is five days since my last confession – sorry – blog post. Somewhere out beyond the viral galaxy is a universe which seems at first sight to be a place of utter chaos. New rules, new language, new protocols, new ways to spend huge amounts of time when I could otherwise be writing the sequel to The Butterfly & The Bull. I noticed that, since I first opened the wrappings and pressed the ‘on’ button, I had acquired some ‘Followers.’ Not many, I admit, but most of them had materialized spontaneously from the ether. Some of their postings were intelligible, others seemed to consist of random letters and there was a lot of use of the @ symbol. Hmm. Where to begin? Search for authors, writing and other likely tags. Voila! Here are some folks I can maybe relate to. I’ll follow them and see what happens. Days later, I am following 95 and have 74 Followers. But I’m so busy trawling furiously through the increasing deluge of Tweets and thanking people for Following me (part of the protocol, I surmise), that I’ve only managed to spit out 105 Tweets. But never mind, there does seem to be some beautiful symmetry to be achieved by having Tweets, Following and Follows all at the same number. My fevered brain decides that this is a possible goal. What other might there be? Yet, try as I might, the Tweets keep inching ahead. If I stop tweeting, the Followers slow down. Curses! And still they keep pouring in. I look away to take a mouthful of coffee – 5 new tweets; I get up to go to the bathroom – 15 new tweets; I go to bed, bleary-eyed and exhausted – 1454 new tweets. This is small beer, of course, by comparison with others in the Twitterverse. The more followers you have, the more tweets (duh!). But wait – what’s this? Some little nuggets of gold flash past in the endless trawl. Take breath, dear man, and stop a moment. 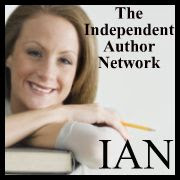 Here’s a wonderful quote, lots of links to really good books, a website that offers to review my book, an invitation to be interviewed on someone’s blog, AND – wait for it – I suddenly have a huge audience who will spread the news of my three Giveaway days on Amazon. Now I begin to see it making sense. It’s going to take a long time before I get to grips with all the possibilities and nuances, but I think I might be hooked.